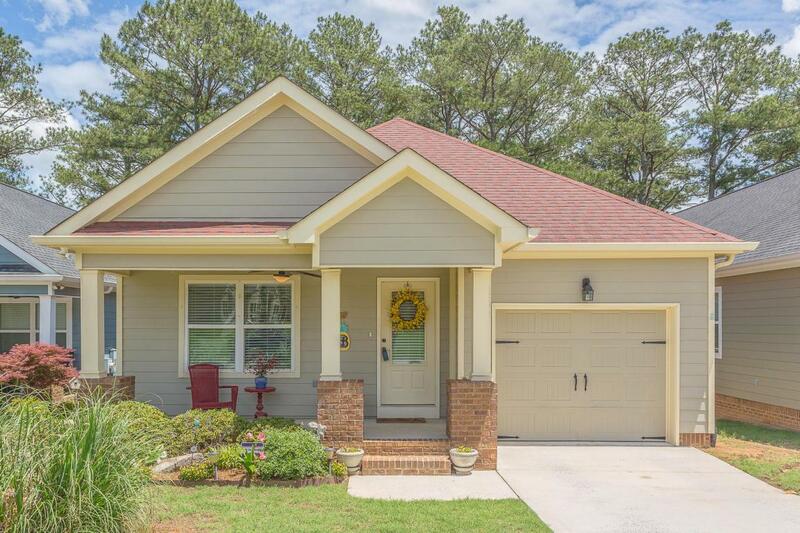 This cottage home is neat, clean, updated, comfortable and on one level. It is three bedrooms, two full baths, partially hardwood, partially tile and new carpet in the bedrooms. It has a cozy layout with the dining and living rooms combined with a fireplace in the L.R. The Master BR is at the rear of the home with the master bath. Theguest BR's are up front and share the other full bath. The Kitchen has beautiful cabinets, a new sink & hardware, like new appliances (refrigerator stays), a granite counter top and subway tile back splash. 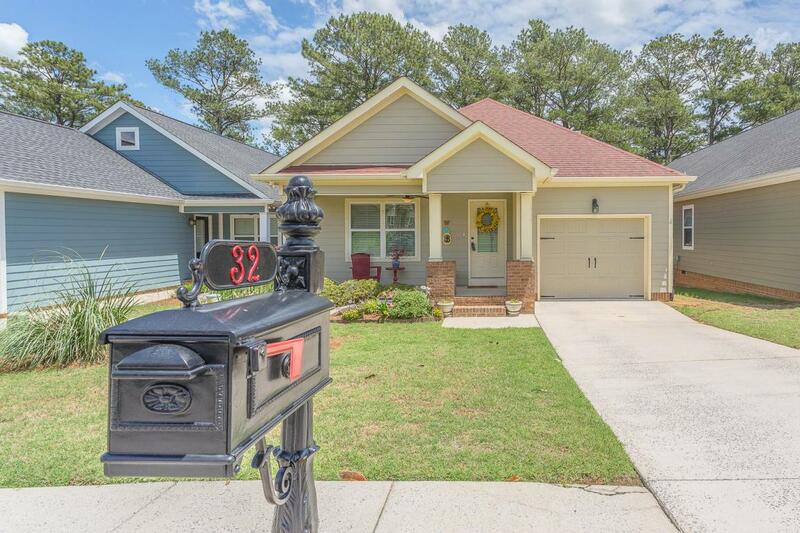 A double door leads from the LR out to a cozy screened porch overlooking a backyard fenced for a pet. This home is protected with a Home Security System. 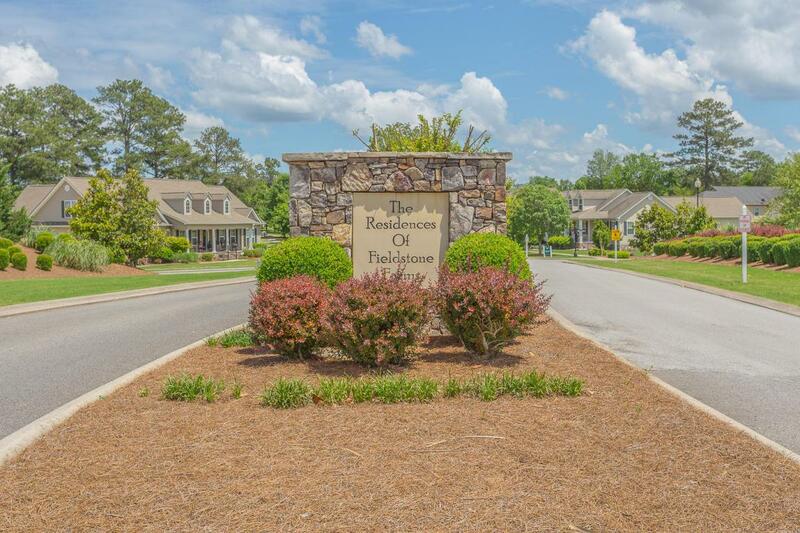 This is a quiet and safe community.There are sidewalks throughout the community for walking and several common spaces within the community for the benefit and pleasure of the residents. A retail area is at the front of the development with several retail businesses and restaurants including the locally popular "Pie Slingers" Restaurant featuring great pizza, spaghetti w/meatballs, sandwiches, a variety of delicious salads and their own locally brewed beer. All of this within a two minute walk.